Your car might have an alignment problem if: it drifts or pulls to one side, your steering wheel is off center, you have uneven tire wear or your car doesn't feel like it handles right. When all of a vehicle's wheels are lined up exactly with each other, your wheels are in alignment. Running into potholes around Brooklyn Park and smacking a curb or other object are great ways to knock your car out of alignment. Then, one or more of your wheels starts pulling in a slightly different direction and the problems begin. There are several things involved in an alignment check at Affordable Transmissions. First, there's an inspection of the steering and suspension systems - their components should be checked to see if anything's bent or broken. Then the tire condition needs to be inspected. From there, the vehicle is put on an alignment rack and an initial alignment reading is taken. If all four wheels are adjustable, they are lined up perfectly parallel with the vehicle's center line. If the back wheels aren't adjustable, a technician at Affordable Transmissions can determine the direction they push and then align the front wheels to match. Getting your alignment checked at Affordable Transmissions in Brooklyn Park when needed is a great way to extend the life of your tires and suspension parts. It also makes sure that your tires meet the road properly for maximum performance and safety. Brooklyn Park area drivers love their vehicles. And one of the most enjoyable things about them is taking a road trip. Freedom from daily schedules, new sights and the open road – it's great! But there's nothing like vehicle trouble to bring the fun to a grinding halt. Now Brooklyn Park drivers can't always avoid problems, but you can take steps to reduce the probability of getting sidelined on your trip. The first step is to look at your trip plan from your vehicle's perspective. What kind of roads will you be traveling – winding MN byways? Purple mountain majesties or fruited plains? What weather conditions are you likely to encounter? How far will you travel each day? How much weight will you be hauling – passengers and luggage? Pulling a trailer, roof top carrier or ATVs? Will it be dusty? Prepared with answers to these questions, you can schedule a trip inspection at Affordable Transmissions in Brooklyn Park to help you prepare your vehicle for your big adventure. A lot of our Brooklyn Park customers prefer to go through this exercise with their friendly and knowledgeable service advisor to get their input and make sure they haven't overlooked anything. A great place for Brooklyn Park drivers to start is with the tires. Inspect them for tread wear and proper inflation. Is it time to rotate your tires? Replace them? Are they up to the job? You wouldn't want to drive regular highway tires on a muddy off-road adventure on MN rock-crawling trails. And don't forget your brakes. Any strange noises, grabbing, soft or hard peddle feel? If there is any doubt, get a brake inspection at Affordable Transmissions in Brooklyn Park before you leave. Moving under the hood, have a belts and hoses inspection. If something is excessively worn or near failure, the stress of a long road trip might just be the straw that breaks the camel's back. Talk to your service advisor at Affordable Transmissions. How close are you to your next oil change? Will you be able to complete your trip before it's due? If not, just get it taken care of before you go so that you don't need to interrupt your trip. In fact, a full service oil change at Affordable Transmissions is a great idea because they will top off all your fluids and check to see if any other maintenance items are due, such as transmission or cooling system service. Do you notice any unusual odors in your vehicle? If so, it could be as harmless as a dirty cabin air filter. But if it's an exhaust leak, it could be fatal for Brooklyn Park drivers and their passengers on a long trip. Of course you'll want to be comfortable, so get an air conditioning service if you aren't getting the cold air you’re used to. Are your wiper blades still working well? If not, that is a quick and inexpensive fix for Brooklyn Park drivers. Headlamps are often overlooked when planning for a trip. If you haven't changed the bulb in six months or so, replacement bulbs will really light up the night on your trip and provide the necessary after-sundown visibility. Imagine you've left Brooklyn Park and you're up in the arctic on a dog sled. Sometimes we Brooklyn Park residents bump a curb or hit a pothole and knock our wheels out of alignment. An accident can take the wheels out of alignment as well. Brooklyn Park residents need to make sure they're tracking straight. 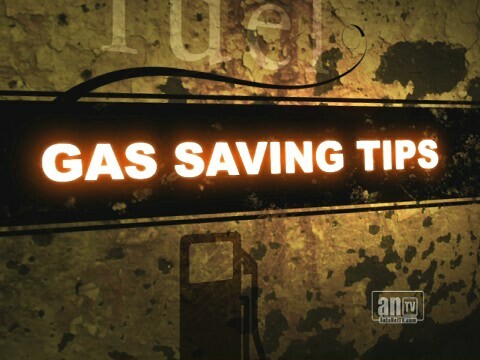 You'll get better fuel economy and your tires'll last longer. Now, mush! Hello Brooklyn Park! Let's talk about alignment. One of the most important parts of preventive maintenance for your vehicle is keeping the wheels in alignment. Poor alignment causes your tires to wear unevenly, which can significantly reduce their lifespan. This means you will have to replace them more often, which can be costly for drivers in Brooklyn Park. It can even damage your suspension system, which is costly to repair. But even more importantly, uneven tread wear can lead to blowouts on the road, a dangerous and potentially deadly safety risk for Brooklyn Park drivers and their passengers. It may not take an accident or bad driving habits to “knock” your tires out of alignment. Tires can go out of alignment with just everyday MN driving. Brooklyn Park road hazards, pot holes, uneven or gravel roads, and even the bumps and bounces of normal Brooklyn Park roads and surface streets can gradually put your vehicle tires out of alignment. So it's good auto advice to have your vehicle's alignment inspected periodically. Your vehicle's owner's manual will have recommendations on how often you should get an alignment check: usually every year or two. But if you think your vehicle tires might be out of alignment, you should bring your vehicle into Affordable Transmissions now. When you bring your vehicle in for an alignment, your technician at Affordable Transmissions will start by inspecting the steering and suspension systems. If something is broken or damaged there, it will need to be fixed in order to get good alignment of the wheels. If all looks good in the steering and suspension departments, the vehicle will then be put on an alignment rack where an initial alignment reading is taken. The wheels can then be aligned to the vehicle manufacturer's specifications. The ideal alignment for any vehicle is set by its engineers and may vary from vehicle to vehicle. There are three types of adjustments that may have to be made to correctly align a vehicle's tires. The first is called “toe.” This refers to tires that are out of alignment because they point inward or outward at the front of the tire. Think of a person who is pigeon-toed or splay-footed, and you get the idea. The last adjustment is the castor. This adjustment measures the angle of the tire in relation to the front axles. So, a piece of auto advice that just might be good for life as well: keep everything in alignment, and you'll be able to steer where you want to go. Drive safely. The biggest issue for Brooklyn Park area drivers is always safety. When your vehicle wheels are out of alignment, the vehicle will pull to one side, which could lead to an accident. When you're vehicle is out of alignment, you should have it taken care of right away at Affordable Transmissions in Brooklyn Park. When undergoing an alignment service at Affordable Transmissions, your vehicle is put on an alignment rack where the tires, steering and suspension parts are checked for damage. Then the alignment is charted and checked against the factory settings. Brooklyn Park drivers should be aware of the signs of alignment problems. These include the car pulling to one side. Also, the steering wheel may not be centered when you're going straight. If you see the edges of one or more tires rapidly wearing down, you should have your Brooklyn Park service center look it over. 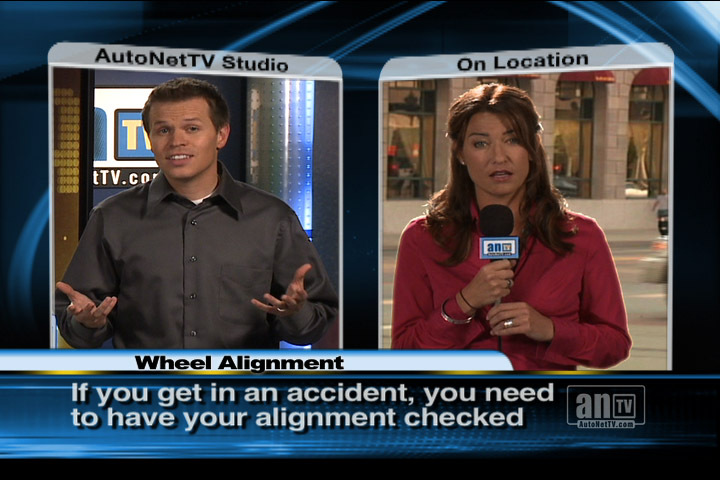 If you've been in an auto accident in MN, you should get your alignment checked. Obviously, a big jolt can seriously knock things out of alignment, but Brooklyn Park area drivers also need to understand that a series of smaller ones can add up. That's why we recommend periodic alignment checks. If your vehicle owner's manual doesn't specify the interval, once a year might be appropriate. Or check with a service advisor at Affordable Transmissions in Brooklyn Park. One thing's for sure: the cost of the alignment at Affordable Transmissions is cheaper for Brooklyn Park drivers than having to buy a couple of new tires because of neglect. Brooklyn Park drivers may have an alignment problem if their car drifts or pulls to one side, the steering wheel's off center, they notice uneven tire wear or the car doesn't feel like it handles right as they drive down Brooklyn Park, MN, streets and roads. When all of a vehicle's wheels are lined up exactly with each other, your wheels are in alignment. Running into potholes, smacking a curb or other objects around Brooklyn Park are great ways to knock a car out of alignment. Then one or more of your wheels start pulling in a slightly different direction and the problems begin. 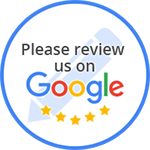 The team at Affordable Transmissions in Brooklyn Park wants you to know that driving for an extended time when your car is out of alignment causes your tires to wear unevenly and excessively. Sometimes the tire can be worn so badly that it will fail. At the very least, those who drive with wheels out of alignment will have to replace their tires sooner. You could end up with premature wear to your suspension system, which can be expensive. The front wheel alignment is adjustable on all vehicles, and the back wheels are also adjustable on some cars. Now, let's discuss some alignment basics. Wheels are adjustable for toe, caster and camber. The ideal alignment for your car was designed by its engineers. So, what is involved in an alignment check at Affordable Transmissions in Brooklyn Park? First, there's an inspection of the steering and suspension to see if anything is bent or broken. Tire condition will also be evaluated. Next, the vehicle is put on an alignment rack and we take an initial alignment reading. If all four wheels are adjustable, they are lined up perfectly parallel with the vehicle's centerline. 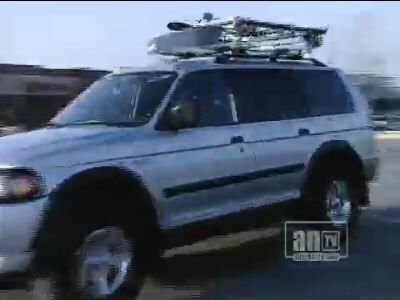 If the back wheels aren't adjustable, the direction they push is determined and the front wheels are aligned to match. Like most things, vehicle manufacturers have recommended a mileage interval for having alignment checked. But if you run into a curb, pothole or something else that's given you a big jolt, pay attention to whether your vehicle is pulling to one side when you drive around the Brooklyn Park area. It's better for vehicle owners to have their alignment checked before waiting to see if there is uneven tire tread wear; by then, the damage is done. Getting your alignment checked at Affordable Transmissions when necessary is a great way to extend the life of your tires and suspension parts. It also makes sure that your tire meets the road properly for maximum performance and safety in MN. Come see us at for more information about your tire alignment. We look forward to serving you. Uneven tire wear, the car pulling to one side or a steering wheel that is off-center are signs for Brooklyn Park drivers that their wheels may be out of alignment. When doing an alignment inspection, the service advisor at Affordable Transmissions will inspect your tires for uneven wear as well as suspension and steering parts for signs of wear or damage. He?ll also compare your current alignment with the vehicle manufacturer?s settings. Your vehicle owner?s manual will have a recommendation for when to check alignment. Of course, this recommendation is based on normal driving. If you have been in a crash, hit a curb/pothole, frequently drive off-road around Brooklyn Park, or notice any symptoms of misalignment, have your Affordable Transmissions service advisor perform an important alignment check. When properly aligned, all of your wheels are pointed in the same direction. Your vehicle will track true and handle the way it is designed. Brooklyn Park drivers often associate our wheels being “knocked” out of alignment with an event like an accident, hitting a pothole, curb or some other object. While these can certainly take your wheels out of alignment, the bumps and bounces of everyday Brooklyn Park driving take their toll on wheel alignment as well. In addition, your vehicle can lose alignment over time with just normal driving. When your wheels are out of alignment, Affordable Transmissions in Brooklyn Park can return your wheels to the vehicle manufacturer’s factory settings. Most owner's manuals suggest an alignment check every year or two.